Two parties are involved in your recovery from illness. One is your health advisor. 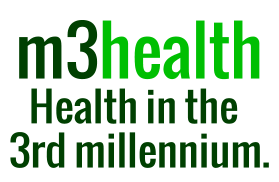 m3health helps you fulfil your contribution to your own health. The m3health Program is a new route to wellness. Your own doctor may not have had the opportunity of discussing with you how you can best work together to solve your problem. The m3health Program can be used in conjunction with all therapies whilst attending any health practitioner. It evokes the healing potential within the patient himself, and is designed for all health and personal problems. It assists both cure and prevention. The m3health Program helps us to see our condition differently, and in doing so frees up healing. The program is exciting to undertake and its revelations continue for life. It helps you benefit from the services of health practitioners and the investigations and the treatments which those clinicians recommend. A cornerstone of m3health’s philosophy is that we all do the very best we can in the circumstances…….. always. Our thoughts, feelings, actions, beliefs and attitudes may be making us ill and preventing our recovery. Are you ready to explore this? The m3health Program is ready to help you.